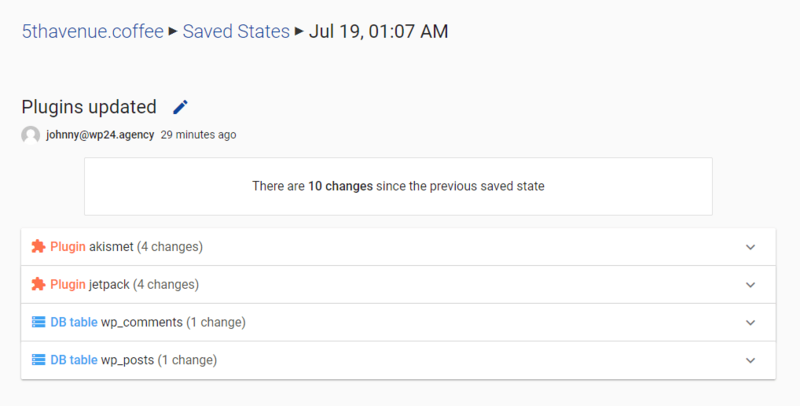 Saved states are snapshots of your site that you can easily return to. Saved states are maintained for live sites only; staging sites don't have them. Automatically after you push changes from staging to live. Manually using the Save current state button. Use the pencil icon to update the saved state's description.